JackMillion Casino is licensed and regulated by the Government of Curacao. Jack Million Casino is powered by Realtime Gaming, offers a great range of games, with plenty of online slots and a safe and secure gambling experience. JackMillion Casino only uses one software provider, which is Realtime Gaming. Even though they use only one provider they are not lacking in games. Realtime Gaming is known for their amazing range that they offer with suburb graphics and smooth gameplay. JackMillion Casino can be played via download or through instant play. You are also able to play on the go with your mobile device whether it is a smartphone or tablet. All new players at JackMillion Casino are able to claim the generous welcome bonus. 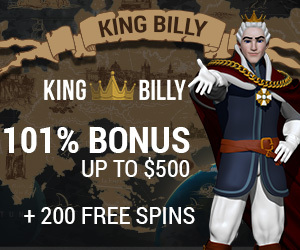 On the first five deposits, you are able to claim a 100% match for up to $/€200+ 200 Free Spins, Enjoy this super generous offer on your next 4 deposits – use promo code WELCOME at the cashier! 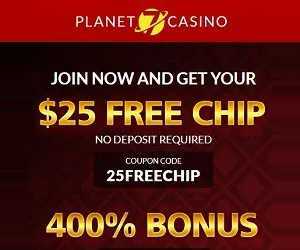 To redeem 40 Free Spins on every deposit . 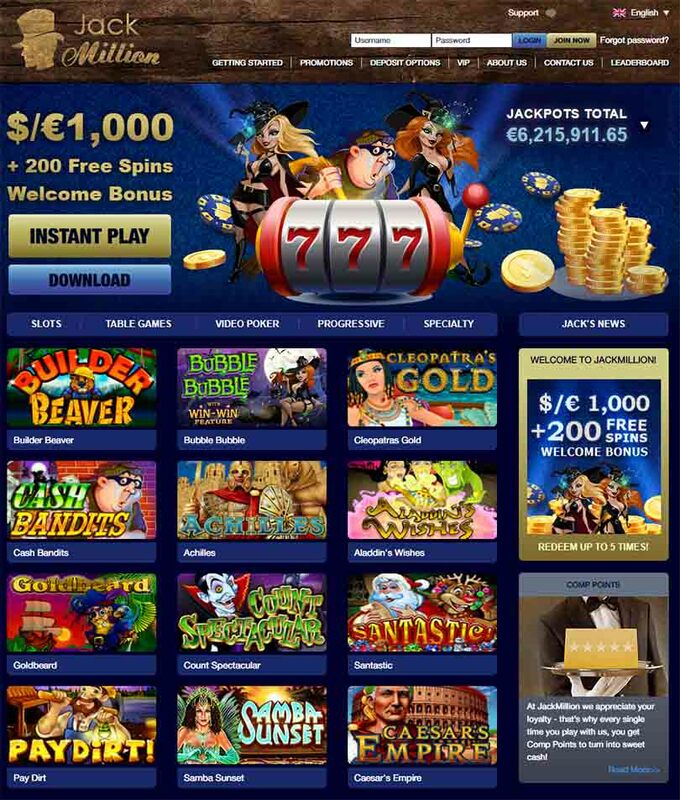 You will need to make a minimum deposit of $/€20 for all fifth bonuses. The deposits and bonuses will need to be wagered 40x. Free Spins bonus are valid ONLY on the slot: Gemtopia. There are Crazy Weekend bonuses where you are able to claim a 50% bonus up to $/€500 on both Saturdays and Sundays. The deposit and bonus will need to be wagered 30x. When you make a deposit between Monday and Sunday, you can claim 10% cashback. There is also a Game of the Month where you can earn more comp points. Comp points are earned by simply playing your favourite games. You are able to exchange these comp points for cash. There is also a VIP scheme that offers exclusive benefits and rewards. There are plenty of games to choose from at JackMillion Casino. If you love to spin the reels then you will find the best slot games from Realtime Gaming. Slot titles include Aladdin’s Wishes, Super 6, Panda Magic, Bubble Bubble, Naughty or Nice and others. 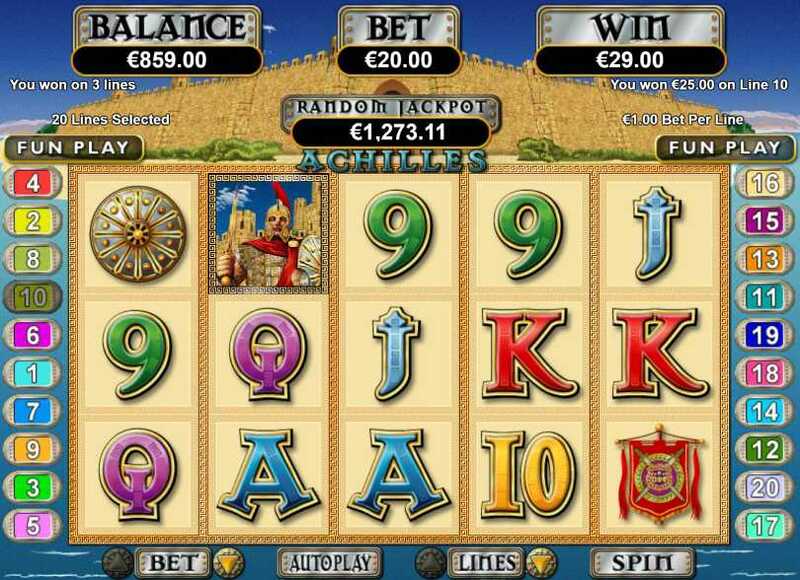 There are also progressive slot titles like Cleopatra’s Gold, Megasaur and Spirit of the Inca. 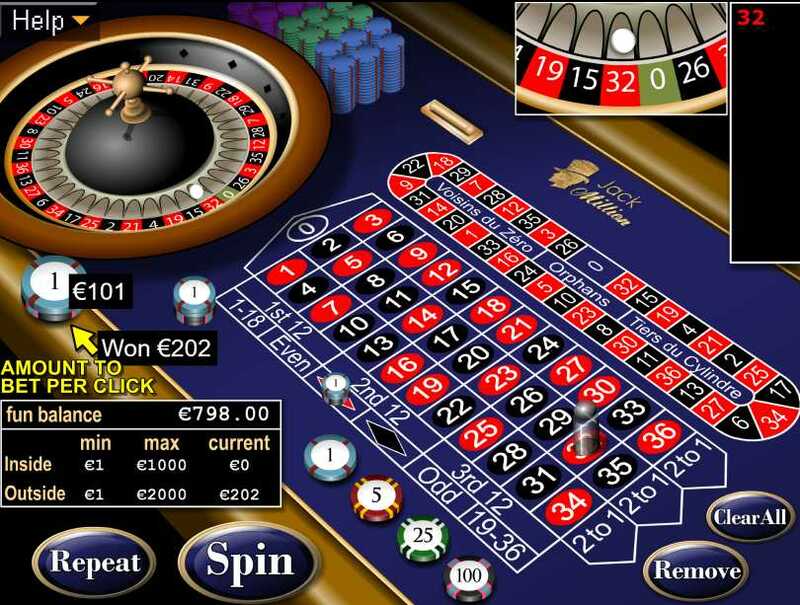 If you prefer table games then you will find blackjack, roulette, baccarat, keno, Caribbean Stud and others. There are also video poker titles like Joker Poker, Deuces Wild and Aces and Eights. The customer support at JackMillion Casino is friendly and efficient and can be contacted 24/7 via email, phone and live chat. All personal and financial information is kept safe and secure with SSL encryption, so you can be sure that your deposits and withdrawals are safe. Deposits can be made via MasterCard, Visa, EcoPayz, Skrill, Neteller, EntroPay, EasyEFT Instant and Bitcoin. Withdrawals can be made via bank transfer, EcoPayz, Credit Card, Skrill and Neteller. Currencies that are accepted include ZAR, EUR, Cad, USD and AUD. JackMillion Casino is a fun online casino that has plenty to offer players. There is a generous welcome bonus, regular promotions and comp points to earn. 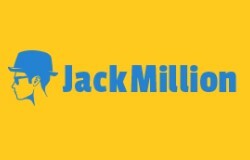 If you are looking for a new online casino to play at, then check out JackMillion.